Think about the roles of the designer/artist VS the wearer or admirer. Who does what in this correlation... and what kind of meaning does it create? Does one give it a form and the other one the soul? Or does the entire credit go to the maker even though the wearer continues the story? And still... what if we twist the roles a bit and allow every wearer to take an active part in the design? 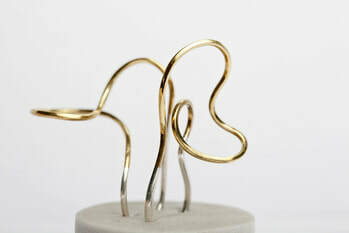 'Adaptation' is a collection of rings that offers a number of ways of design change. 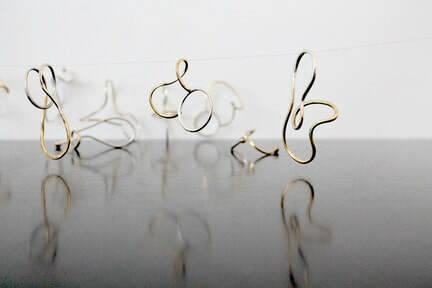 A pair of rings, designed as a set, is picked by the buyer/customer himself, allowing everyones to create their unique pair. The set as such acts as an open-end process of design transformations. 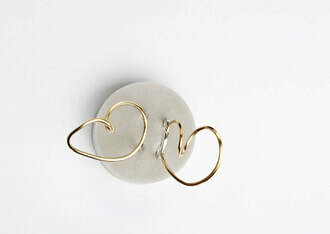 Some of the rings elegantly overlap with others... while some interlock with their gaps and twists. Each of the designs offers at least 4 different variables, according to the side and position of placement on the finger. 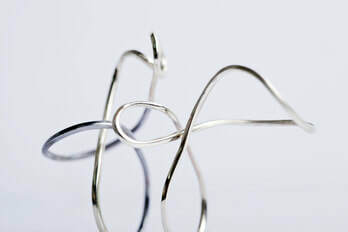 The materials and colors (silver and golden) are carefully chosen not to burden the twists and turns of the metal curve. 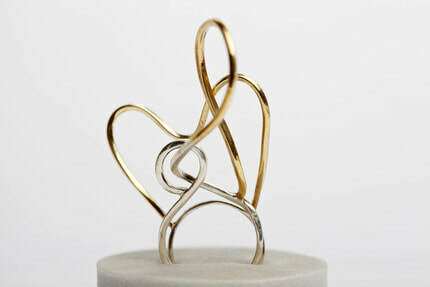 Take part in the design - 'Adaptation' rings.